Thoroughly blend all of the ingredients in a blender. 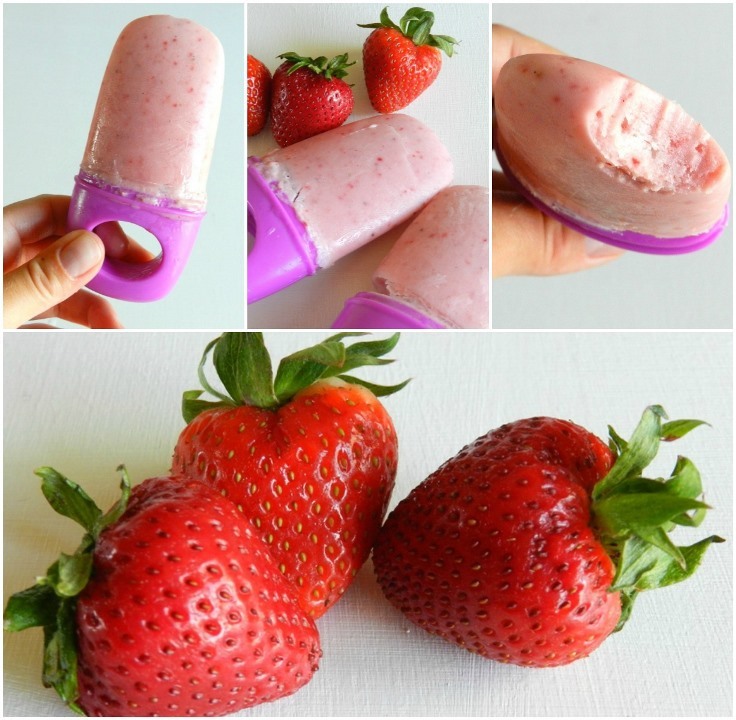 Pour the blended mixture into popsicle molds with handles or popsicle sticks and place them in the freezer for about two hours or until frozen. 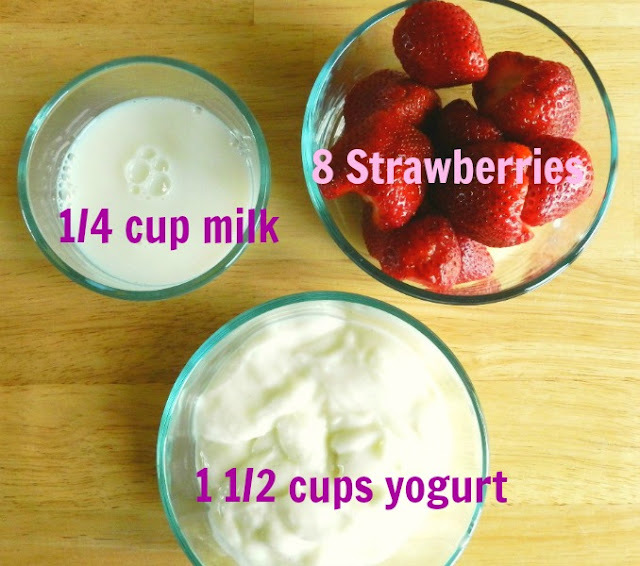 Note: If you want creamier popsicles, try adding 1/2 cup more of yogurt to the mixture.